The International Africa Festival in Würzburg celebrates its 20th Anniversary with numerous top stars of the African music scene. South Africa and Mali will be in the focus of the birthday party. The Africa Festival has always paid special attention to these two countries in the two decades of its existence. The Festival takes place under the patronage of the world-famous musician Manu Dibango from Cameroon. He will also be performing at the festival. Some of the stars who have been invited will also bring along “special guests” so that Musical surprises are to be expected at the concerts. 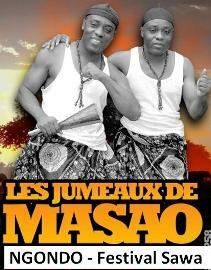 A complete day of the festival will be devoted to the music of Mali. The festival will be accompanied by a large exhibition showing photographs of Jürgen Schadeberg. They were taken in South Africa in the 50s. Many portraits of musicians are among them. 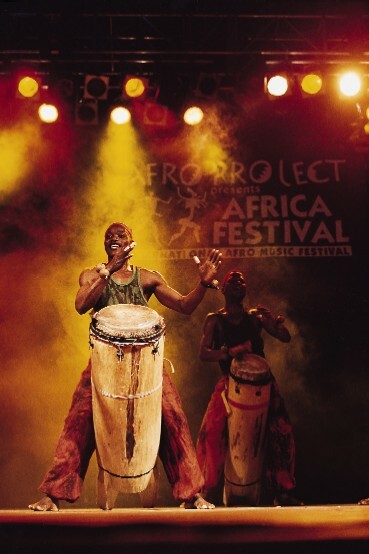 With 1.4 million visitors so far the Africa Festival is the biggest festival for African music and culture in Europe. In addition to several concerts, there will again be a colourful bazaar with objects of art and articles of daily use, African food and drinks, an artisans’ fair, a comprehensive children’s programme, a late night programme with several DJs, exhibitions, panel discussions, and an interesting film programme. The Havana Club will open again for all friends of Caribbean music. The children`s programme, a permanent feature of the Africa Festival, takes place again this year in a circus tent, providing our youngest visitors with their own area and protection against rain, by which we will hopefully be spared. The author and musician Ibrahima Ndiaye from Senegal understands how to enthral his young public in a unique way with a mixture of traditional story telling, pantomime, percussion, song, and dance. The African clown show Adesa from Ghana amazes the children with breath-taking acrobatics and tricks. Once again, we provide an enclosed children`s area outside the children`s tent, away from the festival`s turmoil with the name "Karibuni Watoto - Welcome Children!" The children are kept occupied with all sorts of activities such as painting, putting on make-up, playing, romping and running about. The tin toy manufacturer Alfred Ouoba from Burkina Faso holds workshops each day at 12 noon and 4 p.m. The parents can keep an eye on their little rascals whilst sitting in the relaxed atmosphere of the nearby beer garden. Besitzer von Karten für die Abendkonzerte haben tagsüber freien Eintritt auf das Festivalgelände. Für alle anderen Besucher kostet der Eintritt 5,00 Euro, Kinder unter zwölf Jahre können das Festivalgelände kostenlos besuchen. Eine Familienkarte kostet 15,00 Euro pro Tag. Für Besucher die das Festivalgelände 4 Tage besuchen gibt es ein "Dauereinlassbändchen" für 17,50 Euro. Das Festival ist täglich von 10.00 Uhr bis 24.00 Uhr (Sonntag bis 23.00 Uhr) für Sie geöffnet. Der Havana Club ist täglich bis 3.00 Uhr, Sonntag bis 24.00 Uhr geöffnet. Dieses Angebot erwartet die Besucher auf dem Festivalgelände: tagsüber Konzerte auf der offenen Bühne, der Havanna Club mit DJ Programm, ein reichhaltiges Kinderprogramm, ein großer afrikanischer Basar, ein Handwerkermarkt und das Restaurationszelt mit einem DJ-Programm, Filme und hochkarätig besetzte Diskussionen.